How do I log in to the Teacher app on my iOS device? 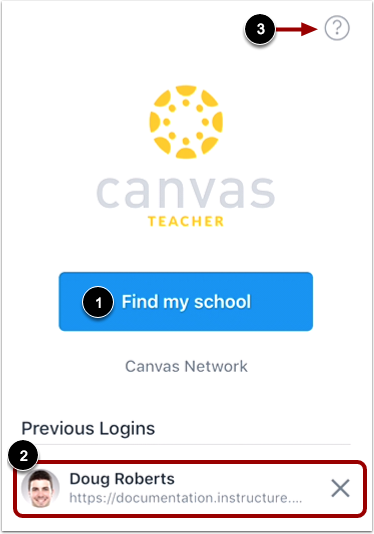 Once you download the Canvas Teacher app from the iTunes store, you can use the app to log in to your Canvas account. 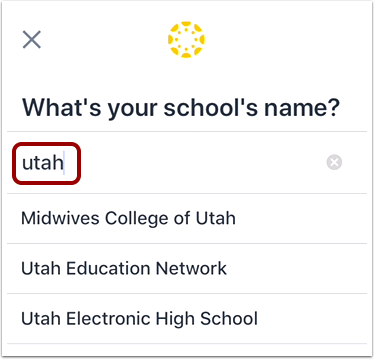 The Teacher app will ask you for the name of your institution to find your Canvas account. If the app cannot find your institution, you can use your institution's Canvas URL to log in. If you are trying to access a Canvas Network course, enter the Canvas Network URL, learn.instructure.com. If you are trying to access a Free-for-Teacher account, enter the Free-for-Teacher URL, canvas.instructure.com. Open your device and tap the Teacher icon. To find your institution, tap the Find my school button . If you have previously logged into the app, you may be able to log into the app using a previous login. To use a previous login, tap your username . 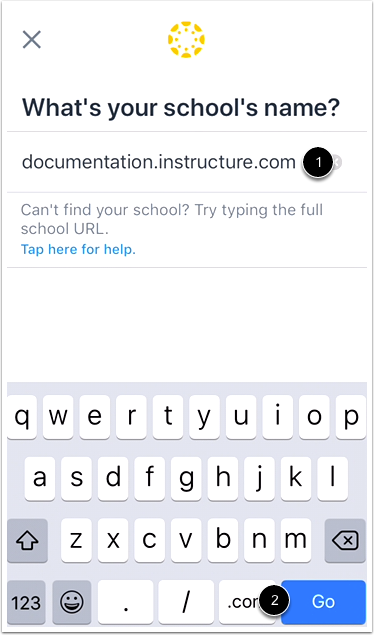 To get help with logging in to the Teacher app, tap the Help icon . Enter the name of your institution or school district. When the full name appears in the search list, tap the name. Note: If you are an admin and your school does not appear in the search list, please contact your CSM about mobile smart search. If the name of your institution does not appear in the search list, you may need to locate your Canvas account by entering a Canvas URL. If you don't know your Canvas URL, tap the Tap here for help link in the search results. You can also log in using your Canvas URL. 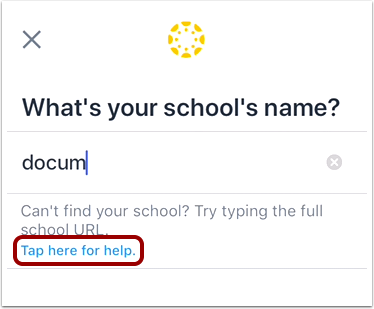 Enter your institution's Canvas URL in the search field . Then tap the Go button on your keyboard . After you've located an account, you can view the Canvas URL at the top of the screen . Enter your email  and password . Tap the Log In button . If you don't know your password, tap the Forgot Password? link . The Canvas email field credential varies according to institution. Some institutions may require a username or account number. 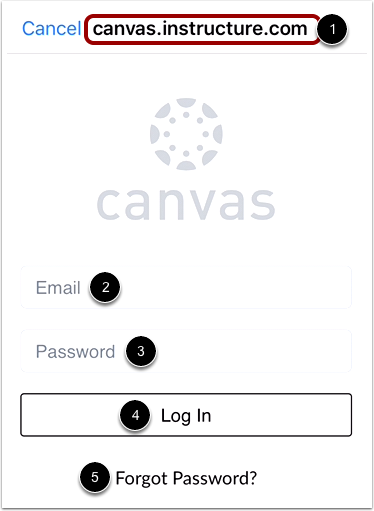 If your Canvas mobile login page does not show the reset password option, contact your institution if you need to reset your password. If your institution requires you to log in to Canvas using their authentication system, you will be redirected to your institution's login page. View the Dashboard for your account. Previous Topic:How do I download the Teacher app on my iOS device? Next Topic:How do I use the Teacher app on my iOS device? Table of Contents > Navigation > How do I log in to the Teacher app on my iOS device? 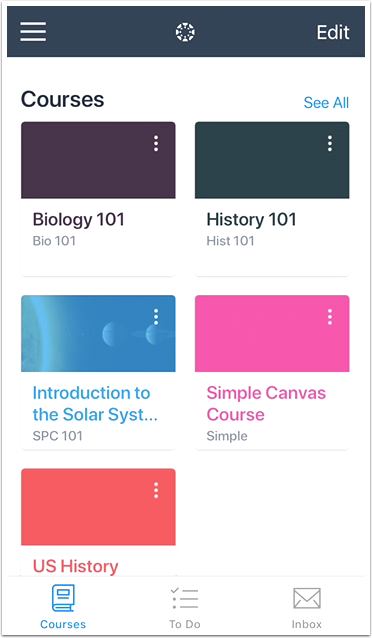 Re: Mobile App not there for FREE TEACHER ACCOUNT? Re: The app says there is no account for my username but my account works when l log-in on a web browser. Is there a fix here?